We specialize in working with Deaf people and their families. All survivors of domestic violence face the same issue: abuse thrives in isolation. This can be especially true for survivors of domestic violence who are Deaf, deaf blind or hard of hearing. Established in 1962 as one of the first Deaf-run agencies in the country, DCARA provides a comprehensive range of programs and services to the Deaf community living in the Greater San Francisco Bay Area of California. 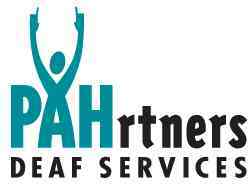 PAHrtners Deaf Services offers a wide-range of behavioral, developmental and therapeutic support programs to Deaf and Hard of Hearing individuals in an environment free of cultural or language barriers. The Community Education VLOG illustrates the focus of codependency and also includes an in-depth interview with a deaf community member. **More information available by visiting the website. At Awakenings, there is inpatient rehabilitation with services provided in ASL (Staff are deaf or sign so no interpreting needed). 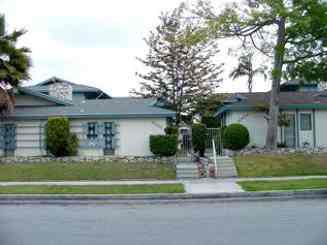 Southern California Alcohol & Drug Programs provides treatment services to Deaf and Hard of Hearing persons through Awakenings - a fully accessible residential recovery program. Awakenings provides a six to 12-month long treatment program delivered entirely in American Sign Language for Deaf men and women. Mew Bridge Foundation If you are deaf or hard-of-hearing, they offer a full continuum of care to address your needs. Inpatient Rehab program that serves Deaf and non-deaf people. They provide interpreting for Deaf residents. To receive information about services offered, contact Admissions. The website does not have a specific page dedicated to Deaf or Hard of Hearing inpatients or outpatient services. Make sure to mention to Admissions upon contacting them that you are Deaf or Hard of Hearing so they can assist you correctly.